Today, most workers are not bound to the office. They work from multiple locations and depend on a variety of connections to be productive. For the organization, this increases the possibility of data loss, and diminishes corporate visibility. To ensure employees stay productive when on-the-go, while providing the organization with the visibility and control over corporate data, eVault, a Seagate Company, provides a cloud-based laptop backup and recovery solution that adjusts backup based on network and enables continuous, efficient data protection and data loss prevention, regardless of location - even when users are offline. While end users stay productive and protected, businesses have complete visibility and control of corporate data. The ability to retrieve and remotely wipe data simplifies the handling of lost devices and employee turnover. Designed for Windows Azure, eVault Endpoint Protection enables customers to maintain control of their data while reducing infrastructure costs by taking advantage of Microsoft cloud services. 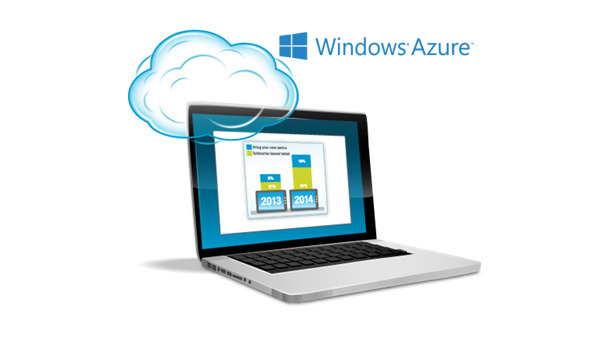 Businesses can leverage their investment in Windows Azure to backup and protect endpoint devices from data loss. eVault Endpoint Protection takes advantage of the built-in security, compliance and global, geo-redundant storage infrastructure of Windows Azure. 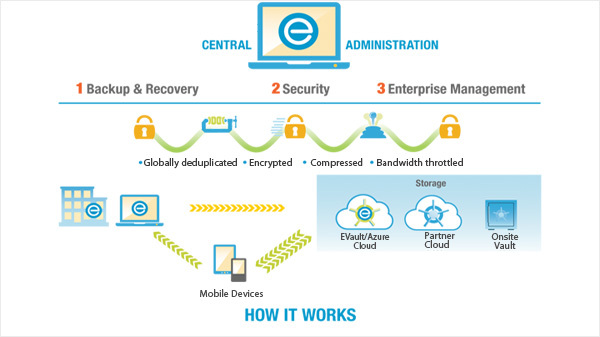 How does the eVault backup technology work? After the initial seed, eVault Delta Backup technology finds and transmits only new or changed data blocks. These delta backups work with adaptive compression, bandwidth throttling, and other WAN optimisation backup technologies. Quick File Scan - Patented backup technology rapidly scans files on every protected system or server to identify new or changed blocks. Adaptive Compression - Shrinks transmitted data blocks by 40 - 90 percent, using the best compression algorithm based on available CPU and network bandwidth. Dynamic Bandwidth Throttling - Controls bandwidth available for backup jobs, useful for frequent backups of critical data or for use in limited-bandwidth environments. Enhanced CPU Utilisation - Backup technology automatically splits backup jobs across multiple CPUs, freeing source-system processing power for other tasks.